Hope Stones jewelry line was created through a partnership between YWCA Spokane and Tracy Jewelers in order to support the needs of women and children staying at our domestic violence safe shelter. Each piece is custom made by supporters of YWCA Spokane programs. Supports include current clients and domestic violence survivors staying at our safe shelter, friends and community supporters, and staff. All supplies are donated by Tracy Jewelers and all proceeds directly benefit YWCA Spokane domestic violence safe shelters and housing program. Hope Stones handmade jewelry will be available for purchase for you or someone you love at our annual Spring Fling Fundraiser. The perfect, thoughtful Mother’s Day gift or special something just for you! To purchase a handmade, custom Hope Stones jewelry item, contact Melanie Wilson, YWCA Spokane Shelter Resource & Development Coordinator, at 509.863.2882 or email her at melaniew@ywcaspokane.org. Tracy Jewelers conducts sale events throughout the year. Consider following us on Facebook and Twitter or sign up for our eNews updates in order to stay up-to-date on future sale events. 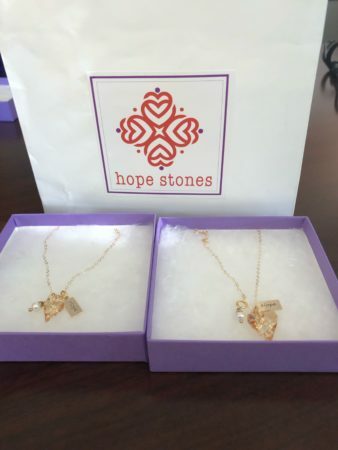 Consider gathering a group of friends together to help us create custom Hope Stones jewelry for future events. Contact Melanie at 509-863-2882 or email her at melaniew@ywcaspokane.org to set up a date at your home or another fun location. All supplies will be provided. All you have to do is gather your friends and create items to benefit our domestic violence safe shelter. Sincere Thank You to Tracy Jewelers For Making This Possible! 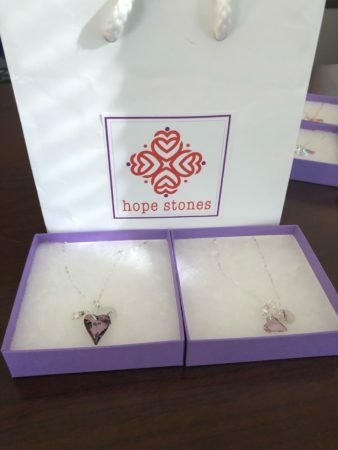 The Hope Stones semi-annual benefits have become such a wonderful success and important feature of support for YWCA Spokane’s domestic violence safe shelter. 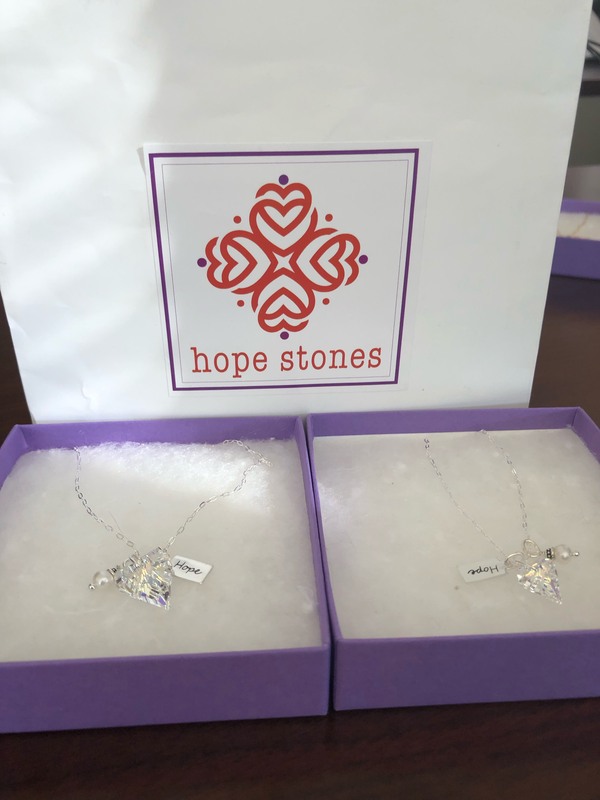 Tracy Jewelers proudly supplies materials needed to make Hope Stones jewelry, returning every dollar made from the sales to YWCA Spokane Safe Shelter. Tracy Jewelers’ dedication, support, and contributions as a community partner have been deeply appreciated. Call Melanie Wilson at 863-2882 or email melaniew@ywcaspokane.org to learn more about setting up your own private jewelry making party or to join one already scheduled. Check our Calendar for future Hope Stones sales or sign up for our eNews for notifications.